Big in Japan! ...Or not. : And I selected the Donald Duck milk tea. 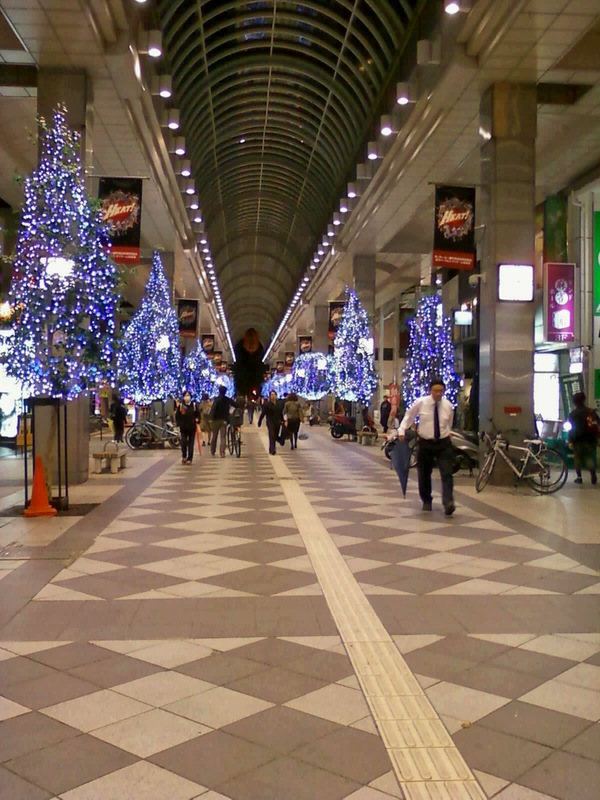 While waiting, I ended up walking around the mall. 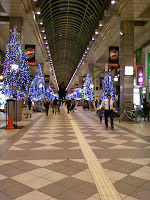 There were already stores with Christmas displays! 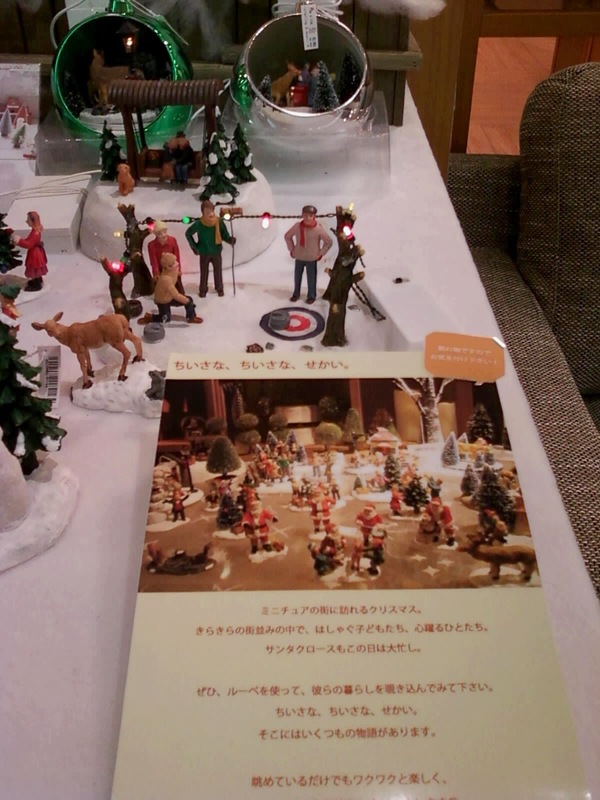 It made me so happy~~~ I found a store that had a Christmas Village type display. They looked like something from Canada. There were townsfolk decorating a tree infront of the city hall, a moose touching it's nose to a showman's carrot nose, and a group of people curling. Awesome. We ended up getting dinner from a little restaurant across the hall from the Starbucks. They made amazing pizza. It was really good! We got one with tomato, basil and mozzarella and the other was onion, bacon and italian salami. Very tasty! After exiting the Disneystore, I wandered around the arcade. And then I noticed that they were already putting up Christmas lights! Lets be honest here, people~ I'm a Christmas Geek. 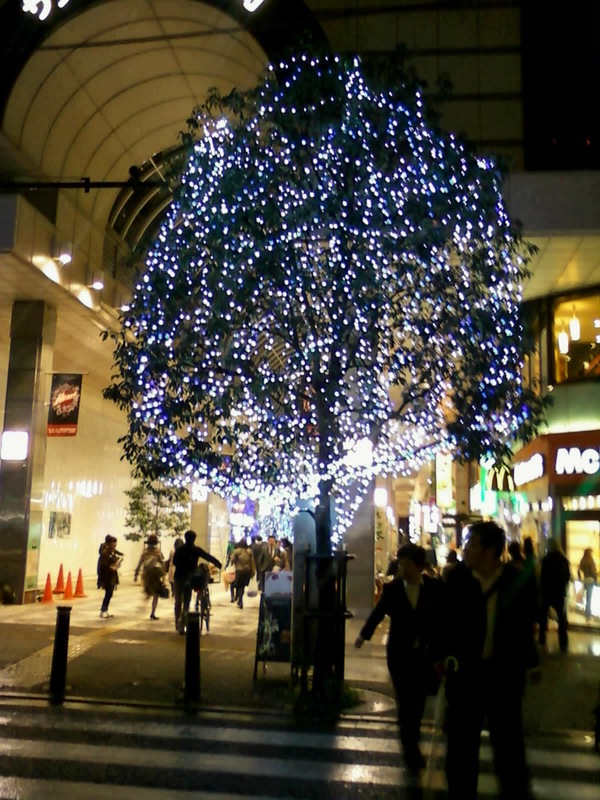 So, seeing Christmas lights in October actually excites me. On the subject of drinks, last Sunday David had a work Halloween thing he needed to do. It was basically a big show Halloween party thing that anyone in the mall could go to. He asked me to go, just in case no one wanted to participate in the Q&A portion and they needed someone who would. He bought me a drink for my troubles~ And I selected the Donald Duck milk tea. Hahaha. I like this brand. And now it has Donald Duck on it. Of course it was a good choice! David had to wear his costume for the event, and I thought he looked quite cute. After the event, I wandered around for a bit and managed to find the cute Sailor Moon themed eyeliners that I had wanted to try~ They're really nice, actually! I've never tried liquid liner before, and I reeeeally like it. 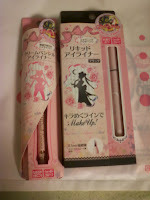 I got black liquid liner and a white pencil that had gold shimmer to it. They're both quite nice! 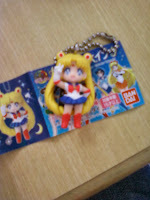 Recently, Sailor Moon keychains were available in gashapon machines. I managed to get almost all of the girls, except Mercury! I was kinda bummed, but I'm sure I'll find it somewhere! They keychains are reeeeally cute, actually! 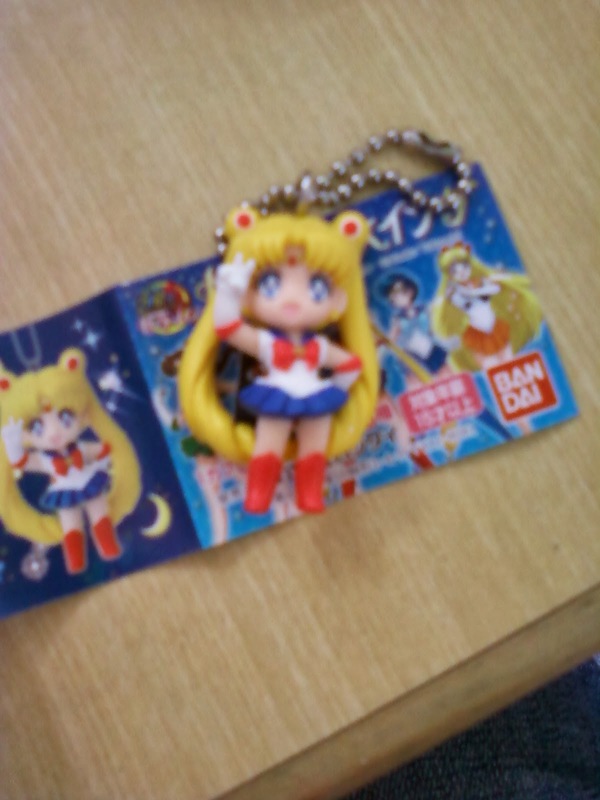 I'm using Sailor Moon as one of my keychains right now! Oh, and in Preschool recently, we did a series of vegetable planting with the kids. 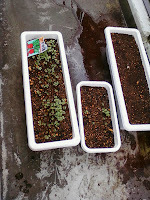 We planted radishes which are supposed to grow up and be ready to eat by mid-late November. Real radishes~~~ I'm kinda excited. I hope I get to try one!